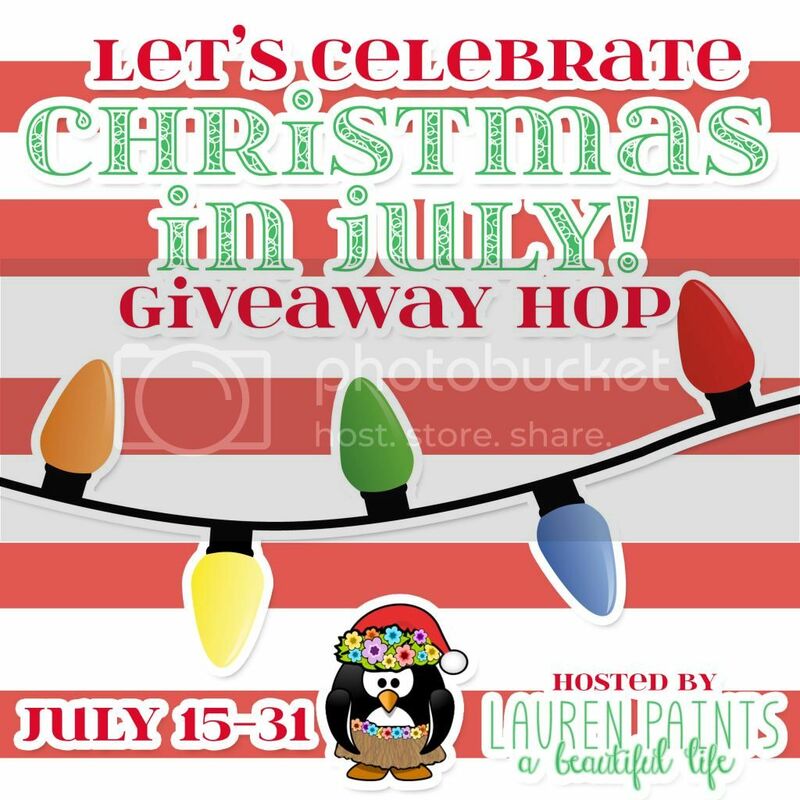 let’s celebrate Christmas in July with a giveaway hop full of prizes! There are a ton of great prizes being given away! I’ve teamed up with a great group of bloggers to bring you some great giveaways. The Sunny Stroll Arch is a developmental fun for baby on the stroll. It easily attaches to strollers and baby carriers. This has two stage developments. It has a transparent sun prism and flexible arch with angle adjustment. The Sunny Stroll Arch also has a rattling butterfly ball with crinkly texture. $150 Amazon Gift Card to ONE lucky reader! Enter to win the Tiny Love Take Along Arch for Baby on the Rafflecopter below. Must be 18 to win. U.S. only. 11. Not Quite Crunchy Mommy 29. Classy & Sassy Mrs.
My babies are now 27 and 24……and I don’t have any grandbabies, so I will be using this as a gift! I’ll be giving this as a gift. I would use it for our baby. We are having our first in January! I would give it to my new baby granddaughter. I would give it to my sister who’s due in January. This toy will be for our soon to be baby! I’d give this as a gift to my friend! For my baby due in January. I would give it to my cousin. This will be for a good friend – she is having her first baby late fall. The Sunny Stroll Arch is such a neat additional to a stroller. I am positive she will really like the arch. It will be a gift for my new nephew. That is a great prize. My kids loved things like that. These are so adorable! My neighbor is expecting going to share this post with her!! oh this will be some thing for my new Great Grandbaby we are expecting. I’m having my second baby on Tuesday so I would love this!!! How cute is that?! Would make a great baby gift! I would love this gift to give my friend who is due in a few weeks. Thank you for the giveaway!!! This toy would be for my baby! My cousin will be having her first baby very soon – a little boy – I’ll give it to her! I would give it to my sister who is expecting her first baby. I will probably give as a gift since I have a few friends who are due this fall and I won’t be having my next baby until (hopefully next year). you had me at steals and deals and then you mentioned christmas in July. Love it. I just got this in the mail for my baby, I cannot wait for her to play with it! I would give this as a gift as a part of my best friends baby shower basket! I love the idea of this stroller! My kids would have loved it. my kids loved these when they were babies. I can’t believe my baby is already too big for most Tiny Love toys! I really miss them – they make great stuff. One of my friends just had a baby so I would be giving it to her. It’d be a gift for my best friend’s baby. This would be awesome to win. Thanks for the great giveaway. There are so many fun elements to that toy. What a great activity arch! I will be keeping this! Aww my kids would have loved this as babies! Looks like a great product. Those are great prizes! If I won, I’d share the prize with my cousin who’s having a baby in August. I would use this as a gift! Thanks for the giveaway! I would give this to my cousin who having a baby. Sounds like an awesome baby gift!! I don’t have any more babies around here, but this would be great to win for someone else! If I won I would give this to my nephew that will be born at the end of August. thanks!!!!! We would keep for our use! this would be a great gift for one of my friends that are currently pregnant! I’d gift this to a friend. Such a wonderful item for a new mom! I Would Gift This To My Sister Who Is Expecting Her First. I’d give it to my new little niece. This would be for my baby. This would be for my four month old son!! If I won, this would be for baby number 3 that we will be welcoming in December! We are super excited. Thanks for the chance! It would be for my friends baby. This would be for a friend’s baby. This would be for my new grandson who is due in August – so excited! If I win this would be a gift. This would be for my LO. I’d give it to my friend who’s due with a baby in November. Thanks. I would be giving this to my best friend who is expecting in January! This would be for my little man. We’ve not really bought many this for him and he’s staying to get into things he shouldn’t…. Hopefully this would keep him happy just a little longer.. If I win this I will give it to my niece for her new baby. Thanks for the chance. It will be for my baby. I’m due with my second in October. It would be for my great grandson who is a few months old. It would be for my baby! I will give this to my bestie for her baby. I will be giving it as a gift if I win. This would be for a gift. id keep it for my baby! shes 4 months old! For my baby boy due in early September! This would be a gift for my grandson! I will give it to my niece for a gift for her baby to be. Thanks for the chance to win. This will be a gift for my cousin and his wife, who are due in September! This will be for my nephew! I would give this to my friend that is expecting in September. I would give it as a gift to my cousin for her baby! It would be for my younger grandkids to share. For the new baby, thanks!